In September of 2015, the American Friesian Association (AFA) suddenly went out of business. This rapid closure was most unfortunate for the horse owners and horses that were registered there. Prior to the American Friesian Association closure, the AFA contacted the Friesian Heritage Horse registry, and conversations took place about the possible acquisition and preservation of the American Friesian Association. Sadly, this was not the path selected by the AFA. The AFA abruptly posted their official closure on their website. 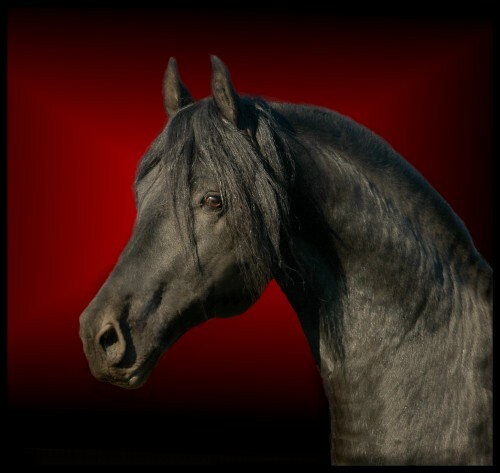 Nonetheless, the Friesian Heritage Horse is offering the option of transferring your AFA horse into FHH for only $35.00. We have already helped numerous, former AFA (American Friesian Association) members to make the transition. The Friesian Heritage Horse & Sporthorse International registry can provide credible, accurate papers with outstanding services and programs! Visit the FHH Horse for Sale Page! Friesian Heritage Horse & Sporthorse International - a registry for all documented horses of 25%, or greater, Friesian heritage. Providing an association with integrity for Purebreds, Friesian Sport Horses & Friesian Crosses, the HH is sincerely devoted to promoting horses of Friesian heritage in a manner that aims to secure the value of these wonderful horses now and into the future! Affordable, reliable & inclusive. Offering nation-wide inspections through FEIT, USDF All-Breed Awards, Open Awards & More! The HH provides a registry with integrity, which is inclusive and attentive to detail. All horses of 25% to 100% documented Friesian heritage are Welcome! Our basic registration is simple and affordable with a fast turn-around time for papers. The HH does not require a yearly membership fee. Optional advanced programs that reward quality breeding and place an emphasis on "suitability of type" are available. In addition to offering inspections and advanced registration divisions, the HH supports Open showing and provides awards for Open Competition. HH also offers USDF All Breed Awards, in all categories, to both purebred and crossbred horses in their respective divisions. HH is the first Friesian based registry to offer this "equal opportunity" to both crosses & purebreds. Commanding attention wherever they appear, horses of Friesian heritage have impacted the American equine world in a manner that will not soon be forgotten. Friesian Heritage Horses are the product of Friesians interbred with various other types of horses. This crossbreeding frequently results in intelligent individuals that are quite deserving of their stellar reputation. Proving their capabilities in all types of events, they are distinctive horses, commonly displaying athletic ability, balance and an elegant appearance. They can offer the best of both worlds when some of the Friesian's distinct characteristics, agreeable disposition and presence are retained and blended with desirable traits from other breeds. Known for their versatility, they can be suitable for anything from the show ring to the family camping trip. They have achieved popularity and success in many performance disciplines, especially dressage, eventing, driving and combined driving. Confused? How to choose a good registry.